The Vineyard is pleased to announce that we were able to secure the first two varieties NOW. Chilean Malbec Shiraz and Spanish Tempranillo. There will be two more new varieties that will include a crushed grape skin pack and bottle labels. Selection International with Grape skins is one of the most exciting and timely kits Winexpert has produced, allowing the winemaker to choose a country of origin kit with excellent varietal character, bold flavours and aromas and full-bodied tannins, all in a wine that drinks well young and rewards patience. 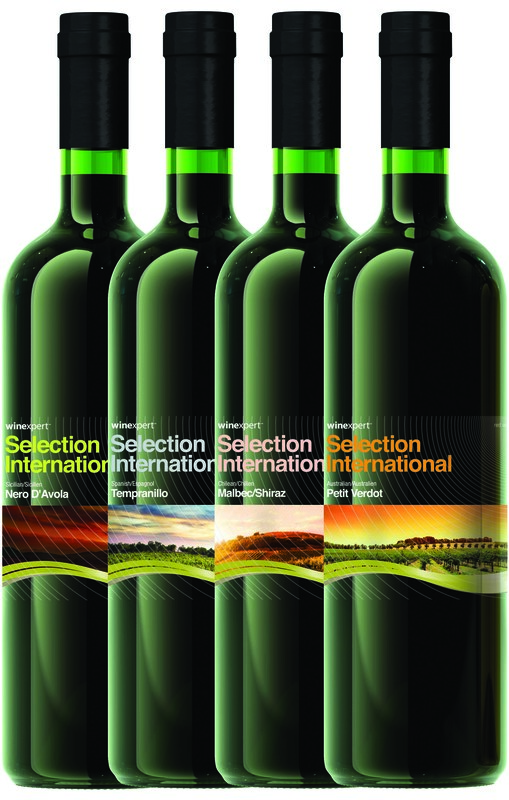 Selection International with Grape skins is one of the most exciting and timely kits Winexpert has produced, allowing the winemaker to choose a country of origin kit with excellent varietal character, bold flavours and aromas and full-bodied tannins, all in a wine that drinks well young and rewards patience. We are excited to have all four these great varieties available in stores this September: Australian Petite Verdot, Chilean Malbec Shiraz, Sicilian Nero D'Avola and Spanish Tempranillo. To get started with the two 'early bird' varieties, visit The Vineyard NOW. For more information on these great new kits, please call either of The Vineyard's two locations.